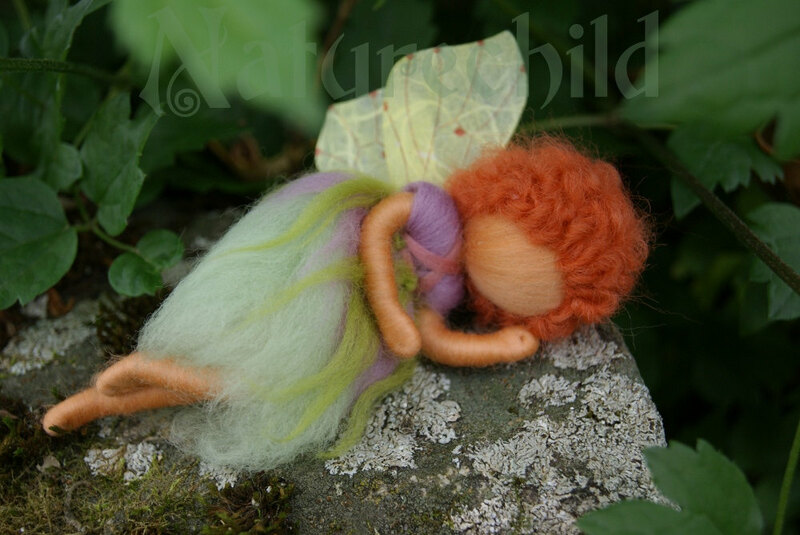 This is one of my newest fairies. She sleeps on a mossy stone in our flower garden. She must be very tired. I really hope no one wake her up!